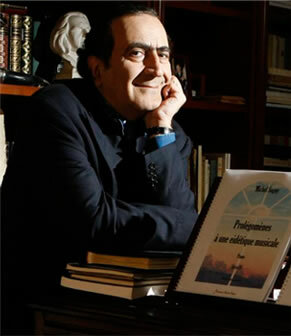 Pianist, composer and doctor of philosophy Michel Sogny developed a new approach to teaching the piano. His method has enabled many students of all ages to enjoy practicing this instrument, as piano playing is generally considered to be unattainable if not taught during childhood. His innovative and creative methode has been acclaimed by international media and eminent personalities in classical music : France Clidat, Aldo Ciccolini, Paul Badura Skoda, Alexis Weissenberg et Gyorgy Cziffra. He was awarded the ONU Peace Medal and received a diploma of honour by UNESCO. Many of his litteray and musical works have been published by prestigious French publishing companies. Michel Sogny created some years ago his own foundation SOS Talents to support gifted young pianists, and still devotes efforts to developing their talent throughout his method. SOS Talents Foundation organizes several gala concerts and festivals in Europe, broadcasted live on TV and radio channels. He is the Honorary Consul of the Republic of Lituania in Switzerland.